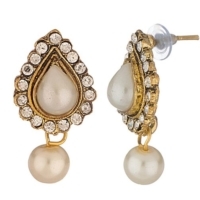 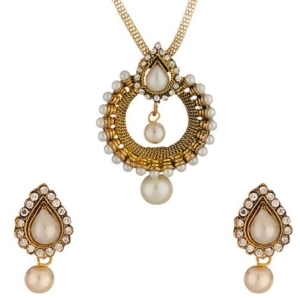 Reeti Fashions – Gold Tone Necklace Set Embedded With Pearl Beads And Cz. 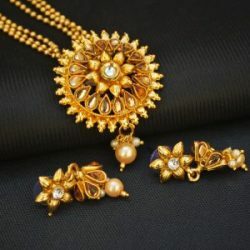 Beautiful yellow gold plated long necklace set embedded with pearl beads and CZ crafted from alloy which gives an additional vibrant look to the jewellery. 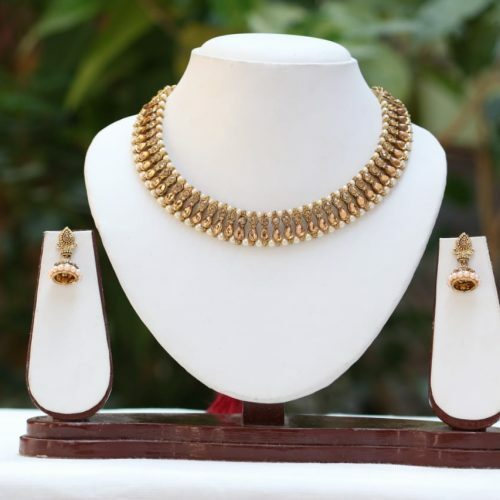 Wear this jewellery with any of your outfits for the dainty diva look!